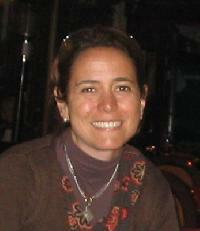 Maria C. Galli-Terra - English to Spanish translator. Translation services in Advertising / Public Relations - Vast experience in media/journalism, education and literary fields. Excellent quality, professional service and competitive rates. All work edited/proofread by fellow translators. I'm an English into Spanish freelance translator certified by the American Translators Association (ATA). I have over 10 years of experience working for a variety of translation and public relation agencies, as well as newspapers and educational insitutions. Very detail-oriented, resourceful and professional service. All work is edited and proofread by fellow translators. Ample experience in translation, editing and proofreading. Keywords: Vast experience in media/journalism, education and literary fields. Excellent quality, professional service and competitive rates. All work edited/proofread by fellow translators.